Anyone else having issues with this app? Becoming very common that when I go to open up a thread, it gives me an error. I shut down the app, reload and then it works fine. Then a little while later, repeat all over again. Anyone else? There a fix or known issue with this? I just posted about this in the open forum. I get two different errors at various times. 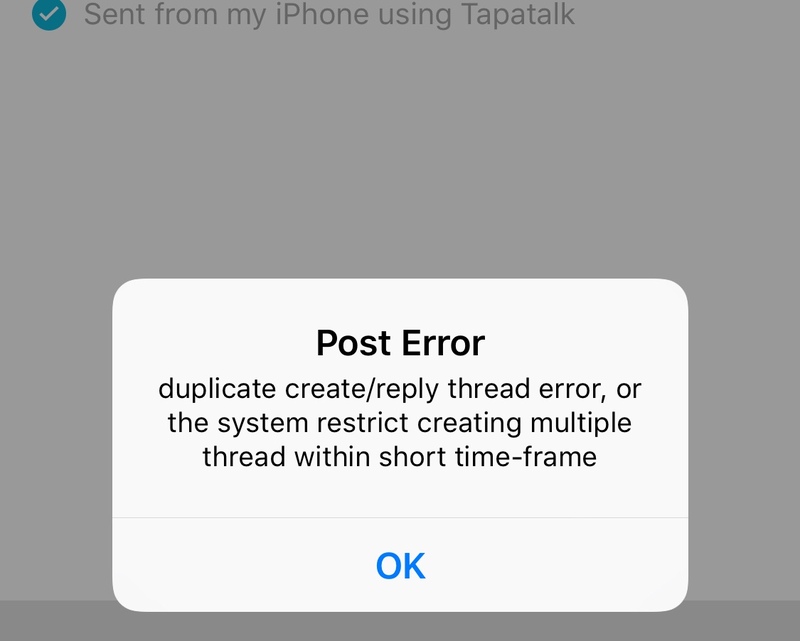 If multiple people are getting the error it could be a system issue but I’d try the basics first....within tapatalk you can clear your cache and also see if there is an app upgrade waiting for u.
I am getting the same.....it's really getting annoying and happening more and more it seems. Problems are with my iPhone. Works fine on iPad. Yeah, I went to your other thread and commented. Seems to be an iPhone X issue. My iPad is fine too. I cleared my cache also and I’ve noticed an improvement. Fingers crossed.